With greater protection, greater speed, and more control-2019 is our best edition yet! BullGuard’s Sentry behavioral engine now receives continuous daily updates, improving accuracy and its ability to detect and block the very latest threats. Provides continuous user protection without the need to download security updates. A new alert warns users whenever they connect to an insecure network with no password protection or inadequate encryption. Total protection with no interruptions and faster game play – proven! Award-winning gaming rig builder ChillBlast tested the performance of Internet Security from BullGuard, Norton, McAfee, Kaspersky, AVG and Windows. Not only did BullGuard come out on top, but our Game Booster made game play even faster than a system with no antivirus installed. Blocked 100% of real-world malware in recent tests run by AV-Comparatives. Chalked up 100% detection of prevalent malware based on 5,565 samples run by AV-TEST. Improved features give users more control, protection and performance. Giving peace of mind for the user. Industry leader for fast and safe gaming – Game Booster optimizes CPU performance while blocking pop ups and other annoying interruptions. Noticeably smoother gaming without any lag. No one goes further than BullGuard to protect users’ computers, tablets, phones and their home’s connected devices from hackers, viruses, online fraud and identity theft. 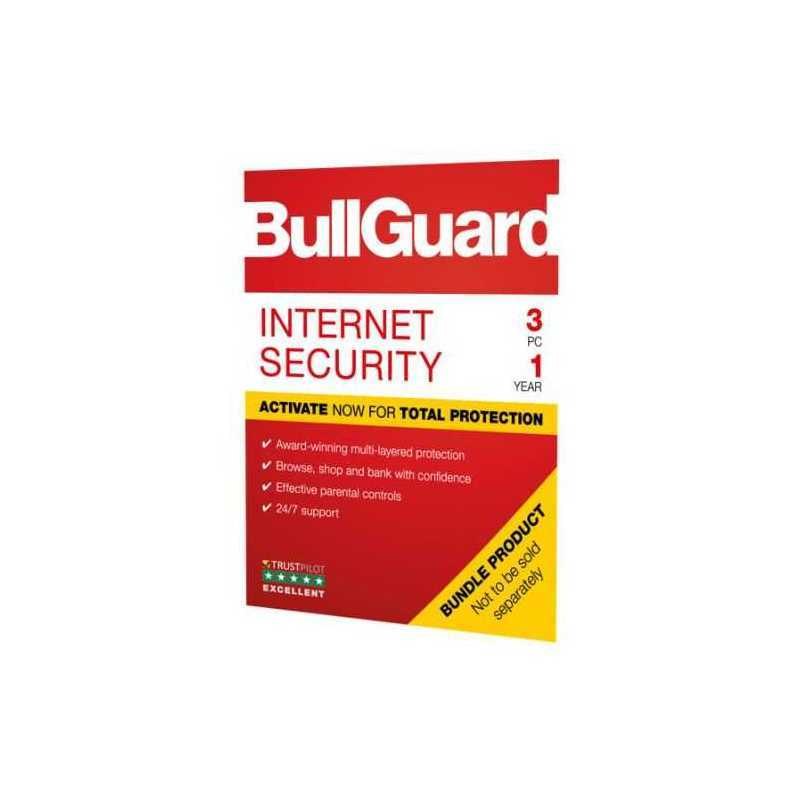 BullGuard Internet Security is consistently ranked the best protection against all types of malware including ransomware and newly released variants which are normally difficult to detect. Our award-winning Antivirus includes Behavioural Detection and Signature-based Detection, providing a virtually impenetrable, multi-layered defence system for PCs.